Teleflora's High Society - by Cherryland Floral & in Traverse City MI - Cherryland Floral & Gifts, Inc.
Time to put on the Ritz with a mixture of white flowers in a black glass cube vase decorated with a white ribbon. Flowers will vary by availability. 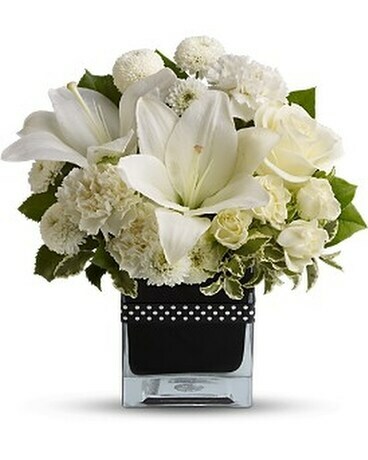 Time to put on the Ritz with a mixture of white flowers in a black glass cube vase decorated with a white ribbon. Flowers will vary by availability.